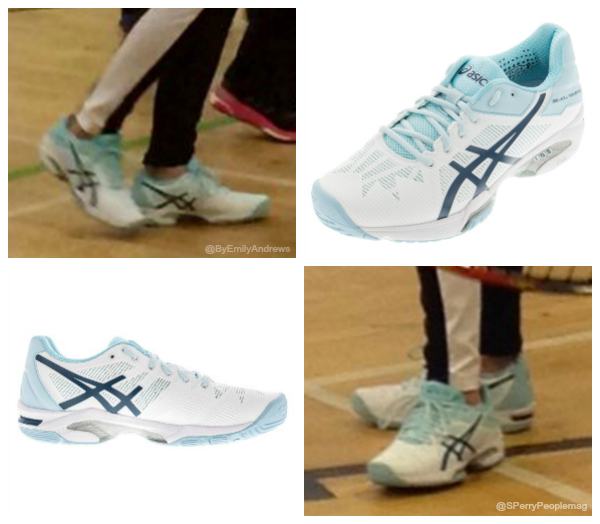 In February 2016, Kate Middleton wore a pair of ASICS GEL-Solution 3 Speed tennis shoes at a tennis workshop in Edinburgh. The workshop was part of Judy Murry’s ‘Tennis on the Road’ initiative. The organisation tours schools in Scotland hoping to inspire children into taking up tennis. (You can learn more by clicking here). For the tennis workshop, Kate needed sporty footwear. She chose ASICS tennis shoes. 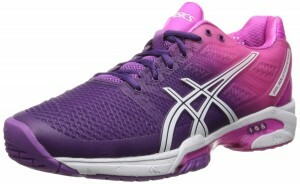 ASICS are known for their high-performance tennis shoes. 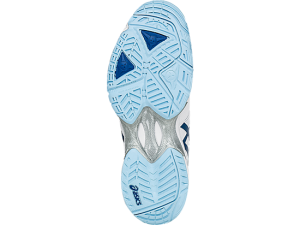 The Solution Speed 3 shoes are designed for “extreme comfort” and “support for even the most aggressive, agile players”. 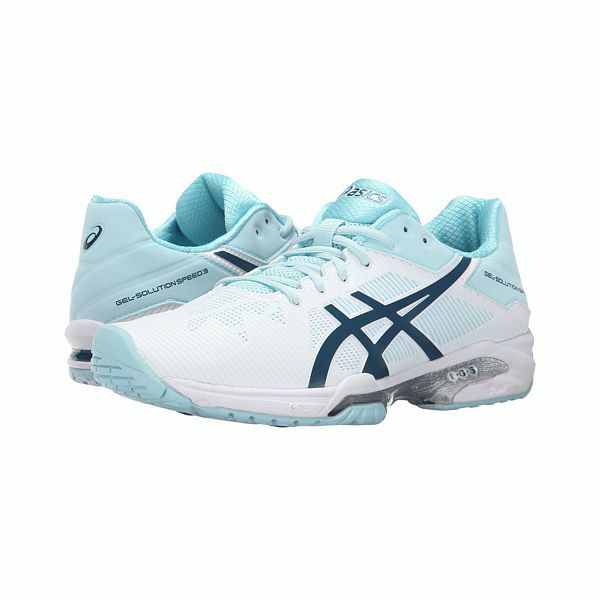 According to the brand, these tennis shoes are built with leading technology to provide “excellent cushioning”, “improved torsional stability” and “responsiveness and control during intense play”. 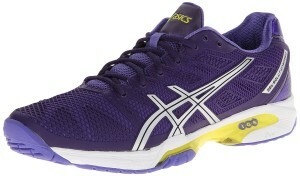 The shoes are available on the ASICS website for $130 USD / £125 GBP. 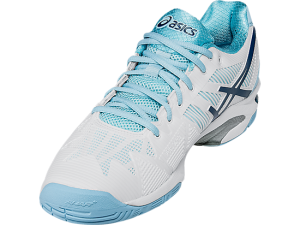 Kate opted for the ASICS GEL-Solution Speed 3 tennis shoe in white, blue steel and crystal blue. However, if you’re willing to look at the past season style (the GEL-Solution Speed 2) you will find a number of colour options on sale.